Developer's Viewpoint: On Iwata-san's Passing Part 3: Jools Watsham From Renegade Kid! [JW]: Thank you for including me. I am deeply saddened by the loss of Mr. Iwata. It is a wonderful opportunity to share our thoughts on his wonderful legacy. [JW]: No, unfortunately I did not have the pleasure of meeting Mr. Iwata. [JW]: The Kirby games, and the DS / 3DS handhelds have had a big impact on me personally and the business of Renegade Kid. Without his contributions, the world would be a less joyful place. [JW]: The memory that pops into my mind is the over-the-top fight sequence between Mr. Iwata and Reggie they included in a Nintendo Direct. That was very special, and very fun. [JW]: It is difficult to imagine the industry without the DS and Wii. Both of those platforms had an immeasurable impact on the industry. I think those examples embody Mr. Iwata's positive spirit and appreciation for joy and innovation. [JW]: I think I would have to go with Kirby's Dreamland. [JW]: I think Mr. Iwata will be remembered for his brave and refreshingly upbeat approach to business, creation, and presentation. [JW]: I would like to say thank you to Mr. Iwata. We understand. [JW]: Thank you very much. Re: Developer's Viewpoint: On Iwata-san's Passing Part 3: Jools Watsham From Renegade Kid! Very nice interview! Iwata will live on forever in our hearts. I think everyone is sad about Iwata-san passing away even if they aren't 'Nintendo fans'. Um...this interview is really good, it's so sad that Nintendo lost its big boss. 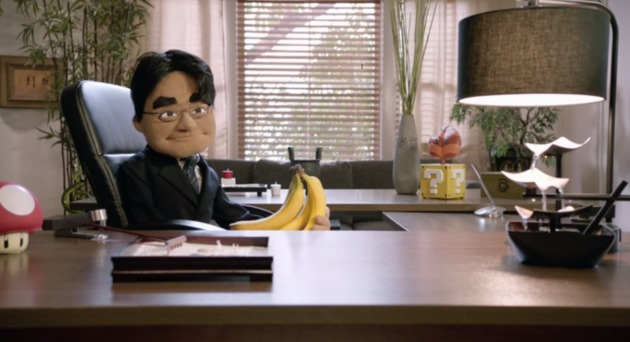 Um...farewell mr. Iwata I'll always remember you being funny during the Nintendo Directs that you hosted. It's very sad that Satoru Iwata died at such a young age. Hopefully he lived a fulfilling life in his book and had no regrets.